Hear ye, hear ye! The moment Hamilton fans, Tveitertots and everyone in between has been waiting Tveiting for has arrived! Those in attendance at #Ham4Ham on June 22 were in for a doubly royal treat—and now we all get to watch the historic performance on repeat. Beloved King George Rory O'Malley began the festivities with The Book of Mormon's "Turn It Off." Hamilton maestro Lin-Manuel Miranda also announced that King Rorge will be #Ham4Ham's new host when he departs the show on July 9. If that all isn't enough good news, your Broadway boyfriend Aaron Tveit also made his long-anticipated cameo in front of the Richard Rodgers, throwing it back with "I'm Alive" from Next to Normal. The trio also snapped a pic next door at Les Miserables. 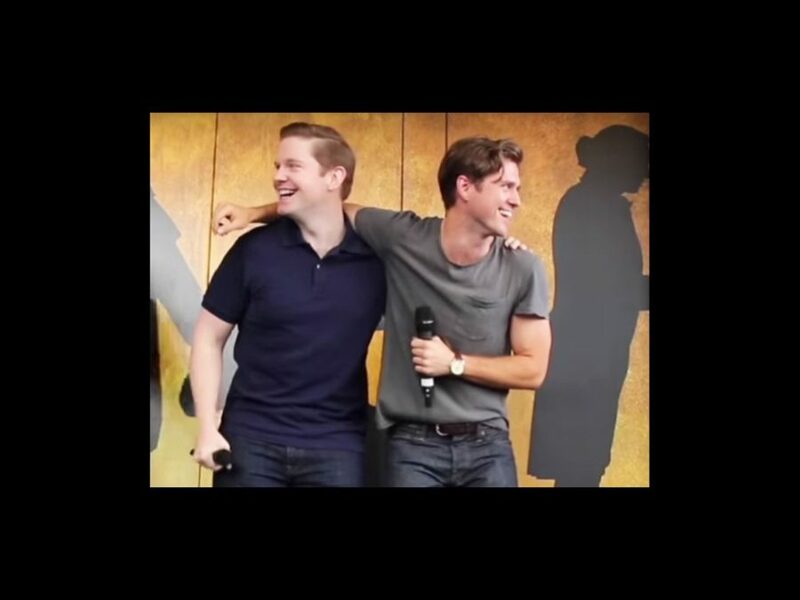 As you know, we'll always take a Tveit performance with a fellow Broadway bro. Enjoy this (360-degree) one below!